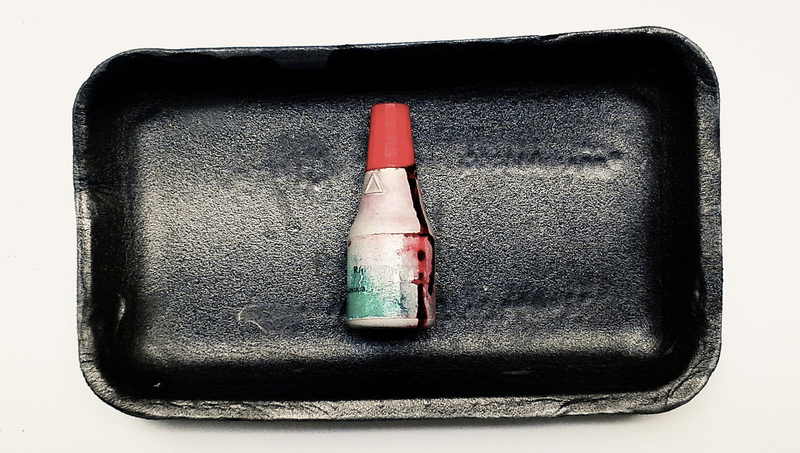 A bottle is a narrow-necked container made of an impermeable material (clay, glass, plastic, aluminium, etc.) in various shapes and sizes to store and transport liquids (water, milk, beer, wine, ink, cooking oil, medicine, soft drinks, shampoo, and chemicals, etc.) and whose mouth at the bottling line can be sealed with an internal stopper, an external bottle cap, a closure, or a conductive "inner seal" using induction sealing. Some of the earliest bottles appeared in China, Phoenicia, Crete, and Rome. Grey (British English) or gray (American English; see spelling differences) is an intermediate color between blackand white. It is a neutral or achromatic color, meaning literally that it is a color "without color." It is the color of a cloud-covered sky, of ash and of lead. The first recorded use of grey as a color name in the English language was in AD 700. Grey is the dominant spelling in European and Commonwealth English, although gray remained in common usage in the UK until the second half of the 20th century. Gray has been the preferred American spelling since approximately 1825,although grey is an accepted variant. Polystyrene (PS) /ˌpɒliˈstaɪriːn/ is a synthetic aromatic hydrocarbon polymer made from the monomer styrene. Polystyrene can be solid or foamed. General-purpose polystyrene is clear, hard, and rather brittle. It is an inexpensive resin per unit weight. It is a rather poor barrier to oxygen and water vapour and has a relatively low melting point. Polystyrene is one of the most widely used plastics, the scale of its production being several million tonnes per year. Polystyrene can be naturally transparent, but can be coloured with colourants. Uses include protective packaging (such as packing peanutsand CD and DVD cases), containers (such as "clamshells"), lids, bottles, trays, tumblers, disposable cutlery and in the making of models.